Kevin Anderson treated fans to a mouth-watering show of live cooking and tasty demonstrations. 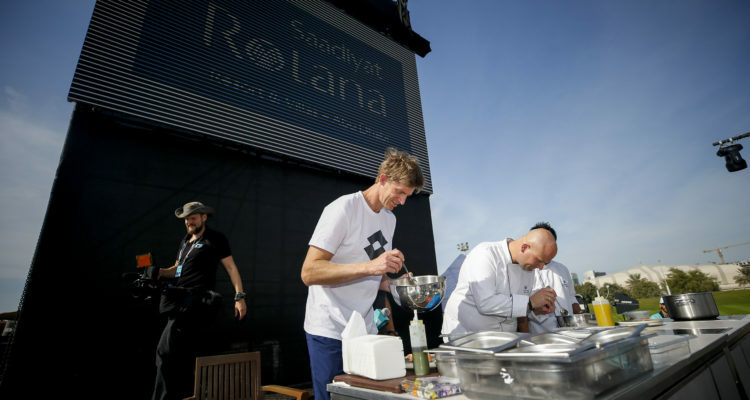 FLASH Entertainment, organizers of the Mubadala World Tennis Championship (MWTC), indulged tennis fans on Friday with an exclusive cook-off between MWTC defending champion, Kevin Anderson and two chefs from Saadiyat Rotana Resort and Villas. This entry was posted in Mubadala World Tennis Championships Abu Dhabi and tagged Abu Dhabi, Kevin Anderson, Mubadala World Tennis Championship, MWTC.